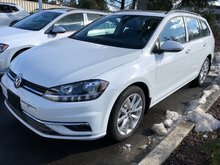 Home > New Vehicles > Volkswagen > Golf wagon > 2019 > 2019 Volkswagen Golf wagon Comfortline 4Motion 6spd w/ Drivers Assist Pkg. 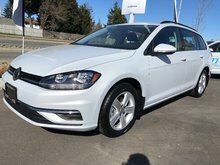 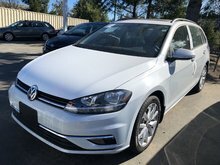 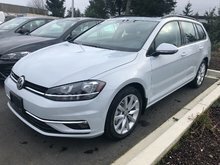 2019 Volkswagen Golf wagon Comfortline 4Motion 6spd w/ Drivers Assist Pkg. 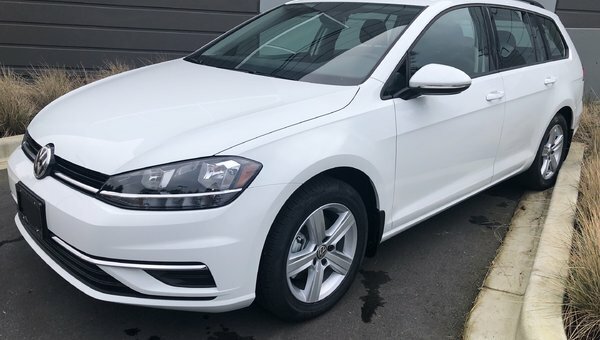 Key Features: 16” Dover Alloy wheels, 4MOTION AWD, Blind Spot Detection with Rear Traffic Alert, Front Assist - Autonomous Emergency Braking with pedestrian monitoring, Adaptive Cruise Control, LED daytime running lights, LED tail lights, Leather wrapped multifunction steering wheel, App-Connect smartphone integration, Bluetooth mobile phone connectivity, Composition Colour – 6.5'' touchscreen radio with 6 speakers, USB audio input, Power outlets (2) 12V, (1) 115V, Cloth seating surfaces, heated front seats, power adjustable and heated exterior mirrors with LED turn signals, rain sensing wipers, rearview camera.